Up to 35% of heat loss in a home is lost through an un-insulated ceiling! Insulating your ceiling will make the biggest difference to your overall heating bill, so it makes sense to insulate this part of your home first! GreenStar Energy Solutions can help you choose the right product for your ceiling, as different homes will require a different product so it is important to find the best product for your ceiling. 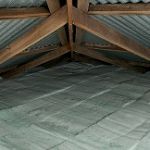 The insulation comes in the form of rectangular sheets, which is installed in between the ceiling joists of the ceiling cavity. 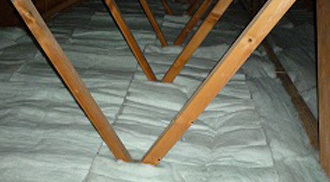 The insulation comes in roll form or a ‘blanket’, which is installed over the ceiling joists of the ceiling cavity. This insulation comes in ‘loose form’ and is blown into a ceiling cavity using a specialized machine. Not all ceiling cavities can be insulated using segments or a blankets so we only recommend this option for very difficult to access ceiling cavities. As experts in ceiling insulation applications we stand by our workmanship – 100%. All our work is installed to the Energy Efficiency Conservation Authority (EECA) standard, which is over and above the current New Zealand standards, as required for new builds and retrofit applications. And as an approved Service Provider to the Warm Up New Zealand programs we have insulated over 5000 homes throughout the wider Auckland region, Hamilton and Waikato.